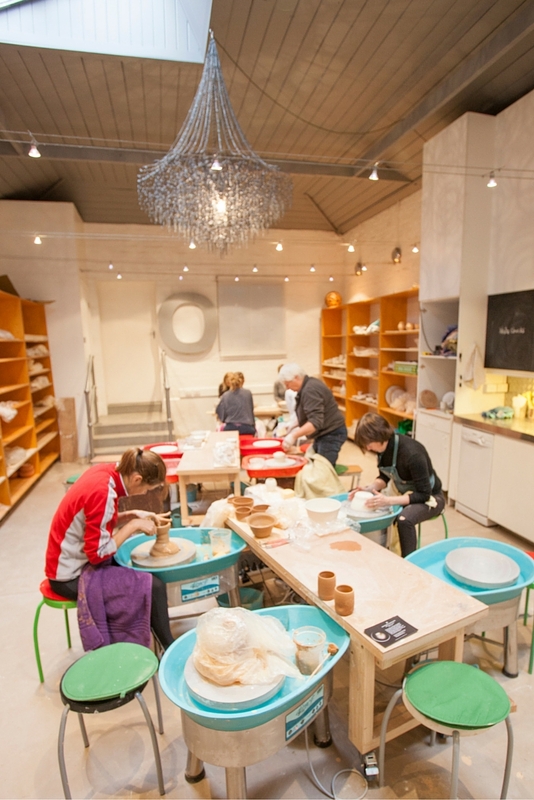 Slow Clay Centre specialises in ceramic art and pottery education and offers an extensive variety of ceramics and pottery classes and workshops throughout the year. Within a framework of creative enquiry and explorative education, our techniques and methods ensure a strongly individual approach whist catering for a developmental pathway. Classes are offered on a weekly basis by the term, weekend intensives, private mentoring, corporate and short workshops, and a rich variety of guest artist workshops for the higher level student. We also hold educational forums and panel discussions on topics of interest with industry professionals. We cater mostly for adults, offering all levels, and we also offer occasional children’s classes so everyone can learn the art of working with clay! We offer three foundational courses for beginner’s level: Our unique Slow Clay method ™ for teaching the pottery wheel, our established Form & Surface course for teaching hand-building, and our seductive Porcelain Small Objects course for experiencing porcelain. 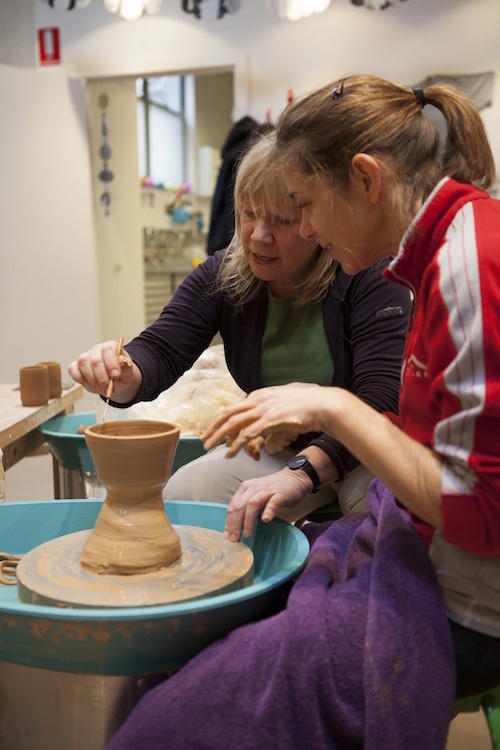 Our Slow Clay method ™ for teaching use of the pottery wheel, was developed by centre director and ceramic artist Jane Sawyer and has been taught and refined over thirty years. Based on the Japanese techniques Jane studied as a young apprentice in Japan, the Slow Clay method offers ergonomic best-practice and provides a solid foundation for personal expression and confidence with clay. 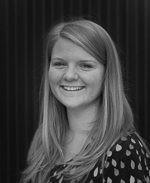 Sawyer is an exhibiting artist and a member of the International Academy of Ceramics and has served on many professional boards including Craft Victoria and the World Crafts Council, Australia. The trilogy of foundation courses available at Slow Clay Centre provide a solid basis for working with clay and it doesn’t matter which order the three courses are taken. If you cannot get into one, please look at the others to see if there are paces available because once you are in you get priority to re-enrol in any courses in subsequent terms before we open to the public. Add to these our occasional specialist Glaze Development, Mould-making and Printing on Clay courses and you will have an even better foundation! We offer developmental learning opportunities in all three foundational areas and mentoring on a monthly basis for those who don’t need weekly classes any more. One of our passions is to support visiting national and international guest artists through offering a program of one-off workshops, talks and panel discussions. These events offer a unique opportunity to engage with professionals and be inspired by some of our most respected artists. 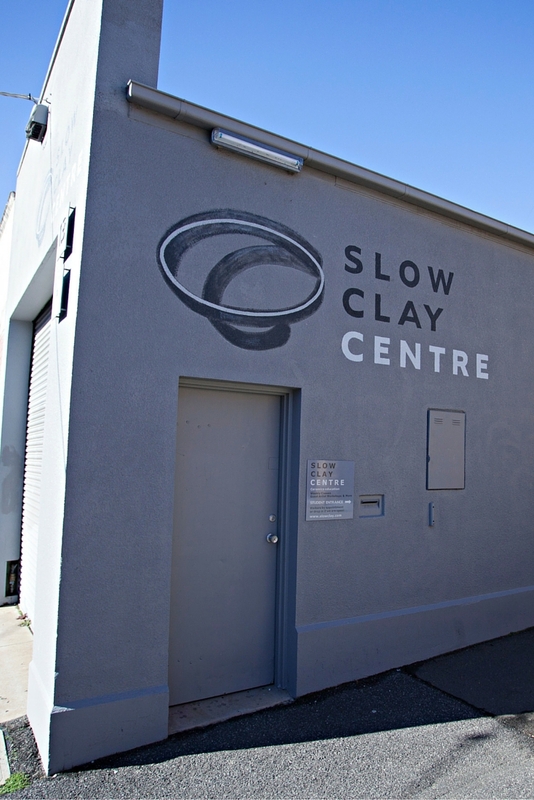 Based in a purpose-designed, intimate and welcoming inner-city location in Collingwood, Melbourne, Australia, the Slow Clay team includes a range of professional ceramic artists and experienced graduate teachers, many recognised leaders in their field. Together they create a vibrant community of enthusiasts. 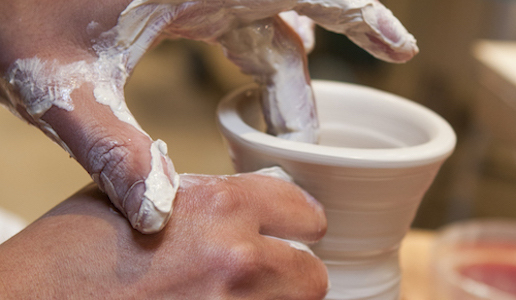 Welcome to Slow Clay Centre where you can set your own pace, explore widely and develop deeply! to keep up to date with enrolment options and to share our passion for and addiction to clay! Weekly courses: please note we open for new enrolments for each forthcoming term approximately half way through a current term. The enrolment date will be publicised on each booking page and we also recommend you sign up to our newsletter so you can be reminded in plenty of time to book and will receive direct links to each course booking page. Then, make sure you are at a computer with your credit card ready to book when we open because they do tend to book out quickly. We give priority to existing students to hold their place each term so we sometimes do not have many spots to offer. We apologise if you miss out but we encourage you to keep trying because we want to welcome you! Our studio is a purpose-renovated warehouse located in the heart of Collingwood, close to the city centre and accessible by public transport. We have consciously designed the interior to be both a practical, comfortable work-space and a delight for the eyes, knowing that our visual world impacts on how we feel creatively. Our equipment includes a wheel throwing room with 12 x latest model Venco (Australian made!) electronic drive wheels, a hand building room with extruders and a slab-roller, a prep/clean-up room with wedging tables, glaze station and recycling station and a kiln room with electric kilns fired on 100% green energy. We also have a courtyard for outdoor activities and bike parking! Our beautiful space is small but perfect in every way and we are so happy to share it with you!